In this workshop, Chen Huixian will be reviewing the Jī Bĕn Gōng or "basic fundamentals" of Chen style Taijiquan. This will include figure-eight weight-shifting with Dan Tien rotation, Silk Reeling and Spiral Energy exercises, and Zhuan Zhang standing post training. 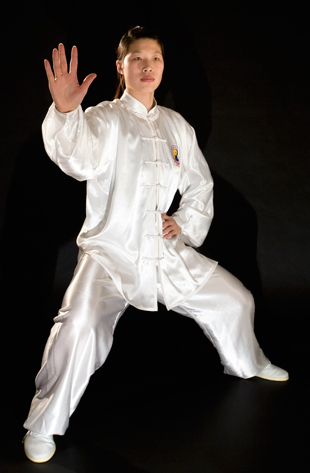 In addition, Master Chen will work with seminar participants to help to maintain the correct “Shen Fa” or “Body Mechanics” required of Chen Taijiquan.